What do leopard, elephants and ice cream have in common? They are all in this outfit. I was so excited about this purse I got for Christmas I've just been wearing it with everything. I wore this during my little break.My mom and I went shopping and we worked on the store goals for the year. Love this pattern mixing! Your bag is such a fun piece! You know I love that bag, so fun! And I love the print of that scarf too. You just have all kinds of fun prints going on here, I love it! 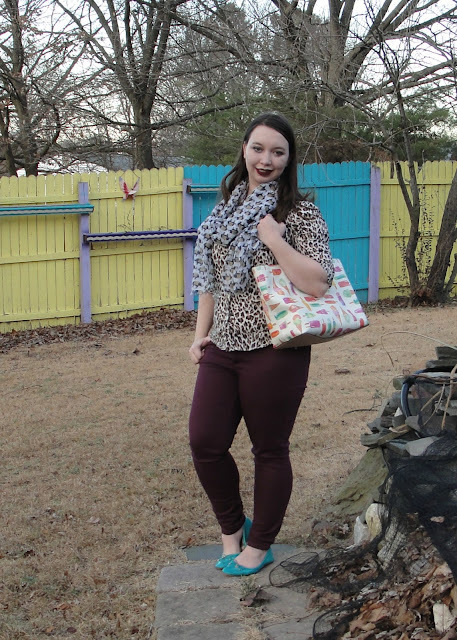 Fun mix of prints and definitely a fun purse! 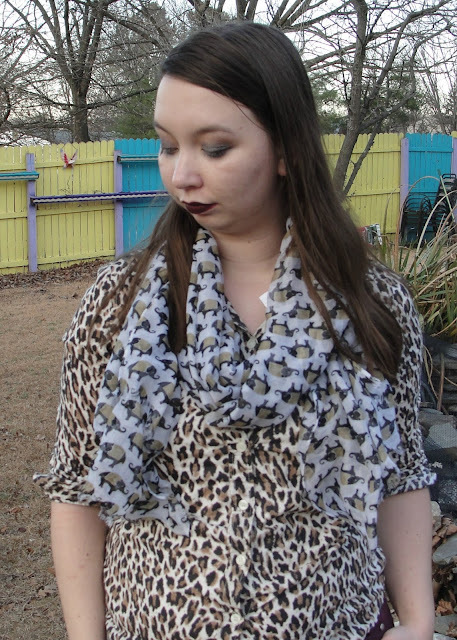 Love the mix of prints babe! This is such a unique outfit! So cool that you have the courage to mix prints ^^. Love the color of those shoes too. Cute for winter! Fun purse! Love your dark lips too! You look so cute! Love the leopard! 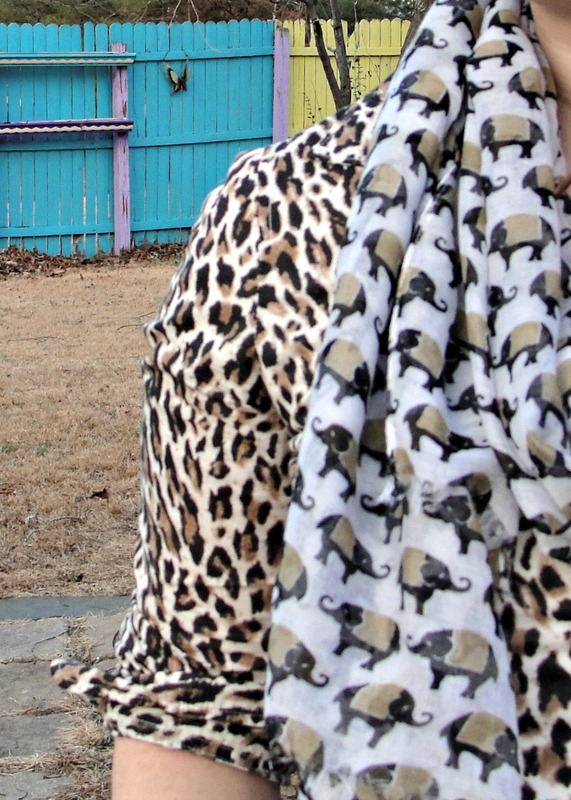 How fun with your elephant scarf! Great look! Oh the burgundy and turquoise together are just SO good. And the subtle print mix is lovely as well.